The Guardian. 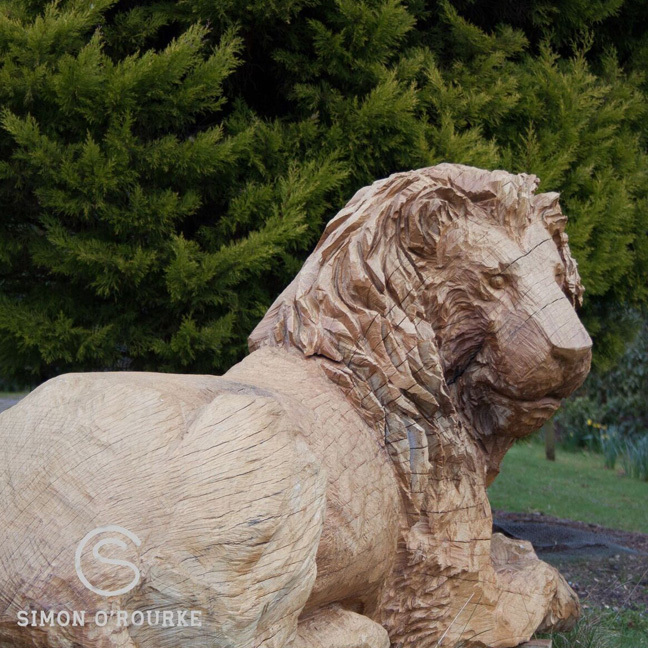 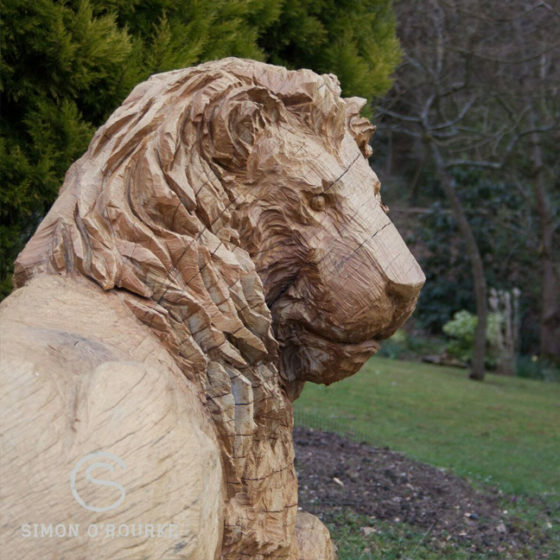 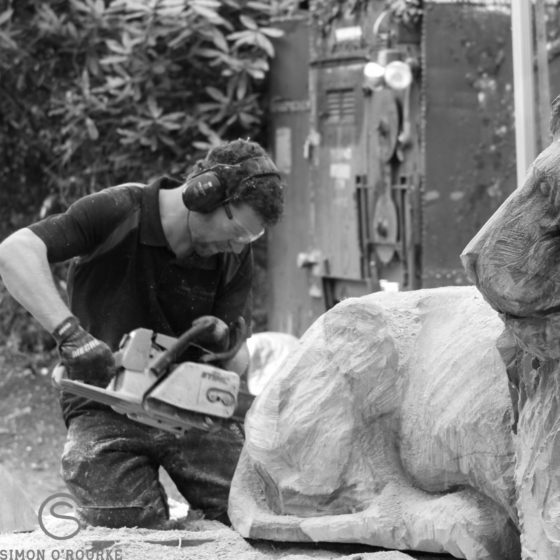 Single lion sculpture, slightly larger than life-size. 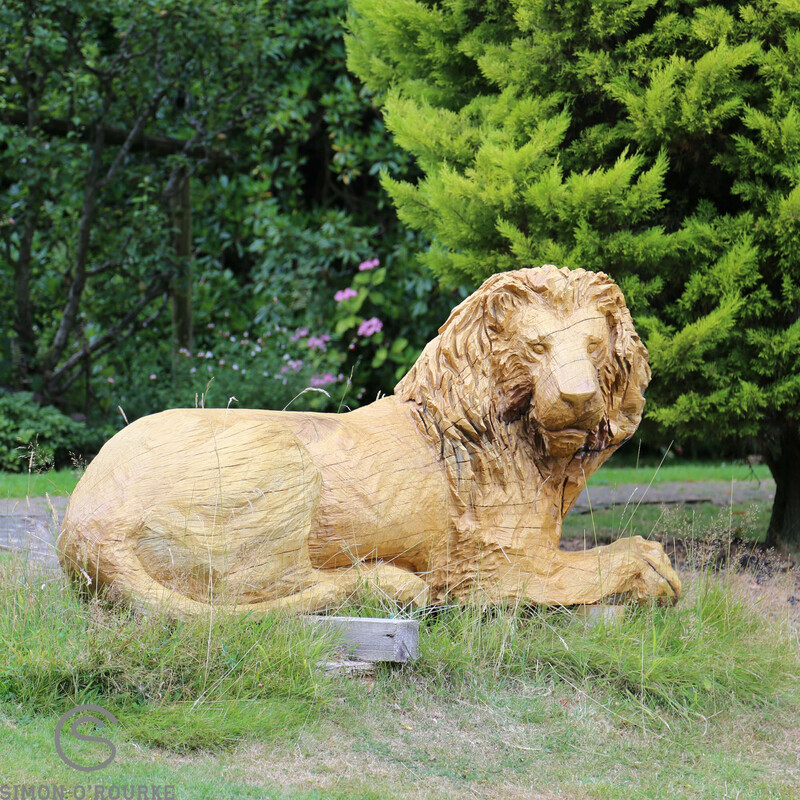 No, not the newspaper, this was a project to raise awareness for the charity organisation, BornFree. I was contacted by a photographer called Maria Slough, who was producing a photographic exhibition called Pawtraits. the premise of the exhibition was that various people would be photographed with the animals that represent the charity of their own choosing. 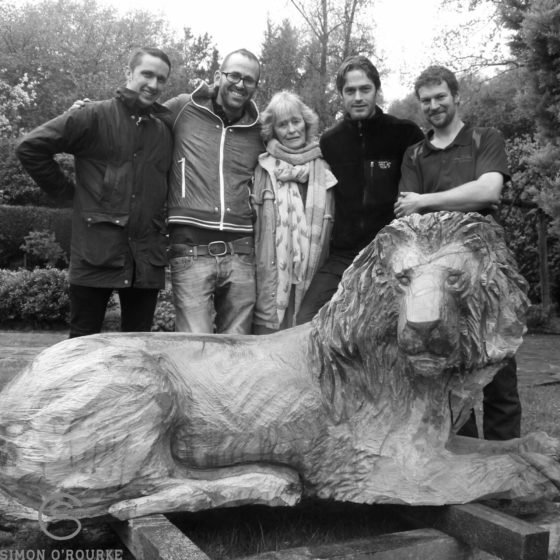 The BornFree founder Virginia McKenna OBE was one of the sitters and as you might expect did not want to be photographed with a real lion! Maria did some research on sculptures of lions and came across my work. 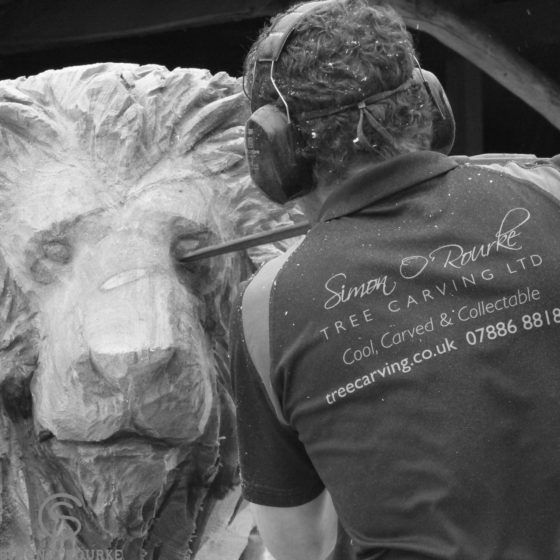 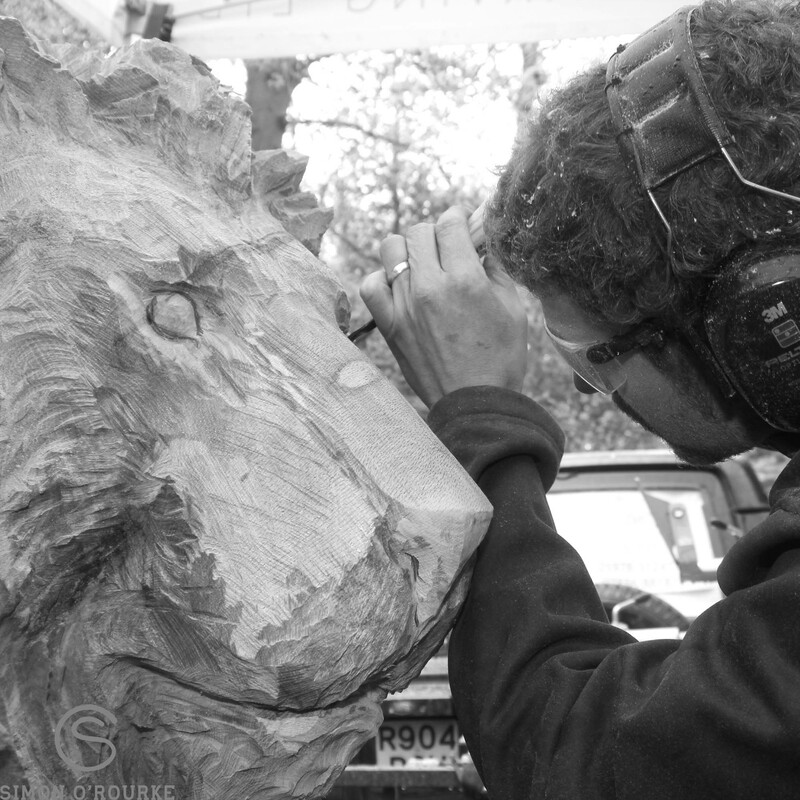 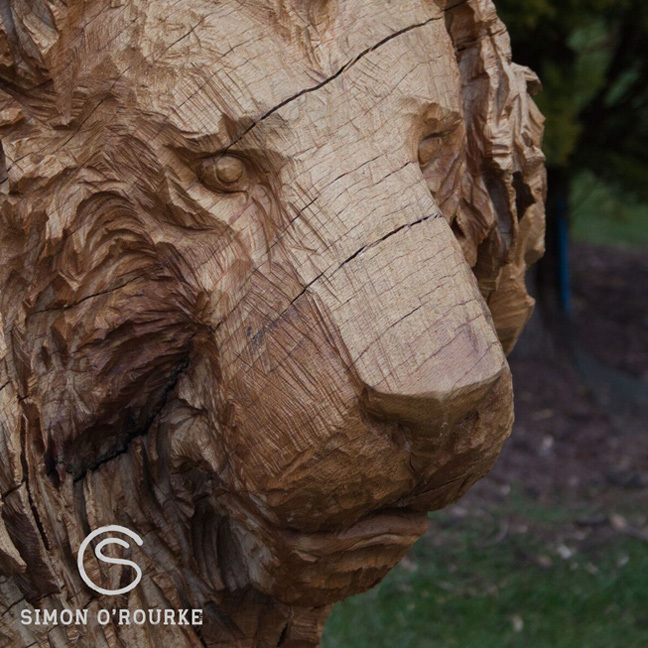 After a few conversations I was booked to travel down to Virginia’s home and in two days, create a life-size lion from a large piece of oak! 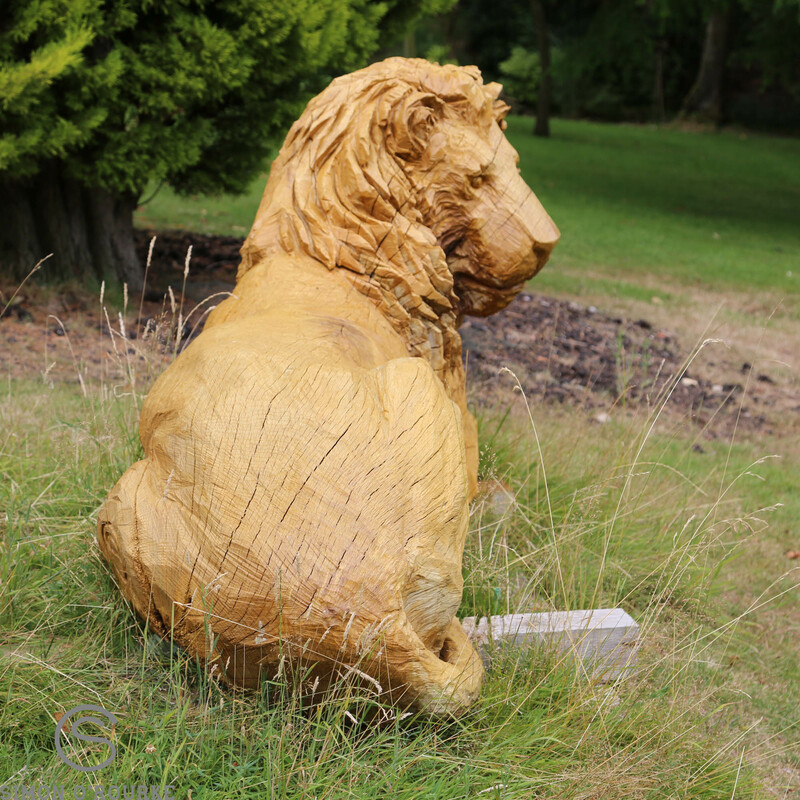 The following sculpture was very well received and is still much loved, being a permanent part of Virginia’s garden! 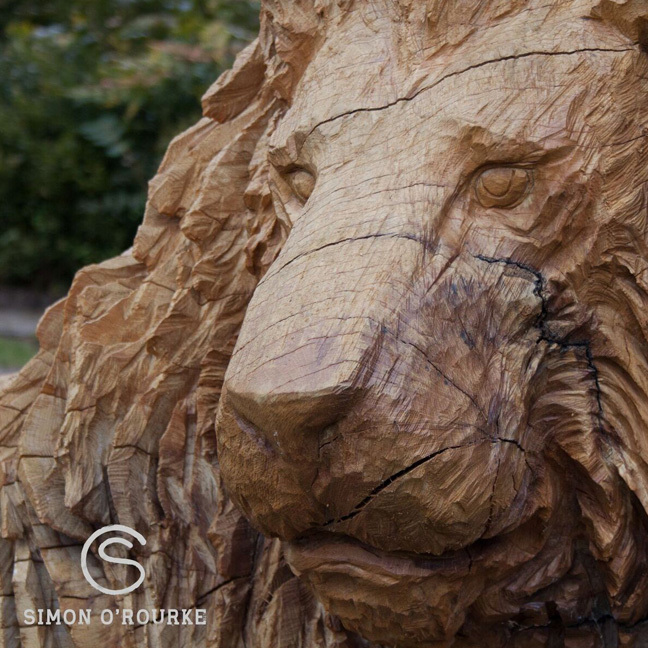 It was an honour to meet Virginia, and to be a part of a worthwhile cause.